Domestic cats spend most of their life in the apartment, don't need walks, she is quite comfortable and at home. However, the output of the cat "on weed" is possible – the main thing to observe a number of precautions. 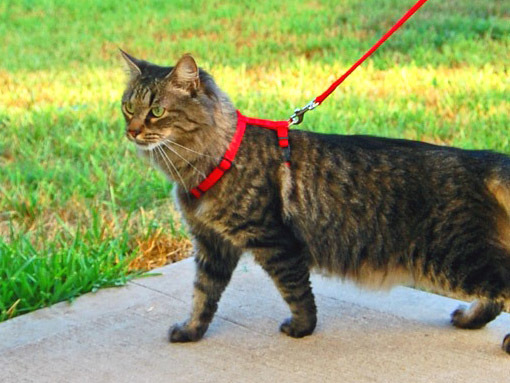 Walking the cat: "for" and "against"
If the cat is active and agile, and the apartment she has the opportunity to run, play and climb, to sharpen its claws, and the owners take care to ensure that, in addition to forage, the cat had access to green grass – to walks by and large is not necessary. The cat can not to seek out – it is enough observing the environment from the window. If this situation suits all, you might need to refrain from walking. Especially considering the fact that some animals, having tasted of the pleasures of walking, you may begin to show excessive interest in the "big world", trying to slip out the door and go for a walk alone – and this may lead to trouble. But animals that spend part of the summer at "free range" in the country and has already tasted the spirit of freedom, periodic trips, might be useful. Not be amiss to skip the pet and in the heat if the apartment is too stuffy and cats suffer from overheating, and exit "on the grass" the evening chill will help the animal to survive the heat. For cats, began to lose their former agility, the walk could be a good opportunity to "shake things up" and move. And young animals are hyperactive, bored in the apartment, so we can enjoy some new experiences and to throw out the accumulated energy. Making a decision about where in the phrase "walk not to stay at home" to put the comma, we must first take into account the nature of the animal and its lifestyle. And pay attention to the list of contraindications" to walk. very shy and nervous animals. 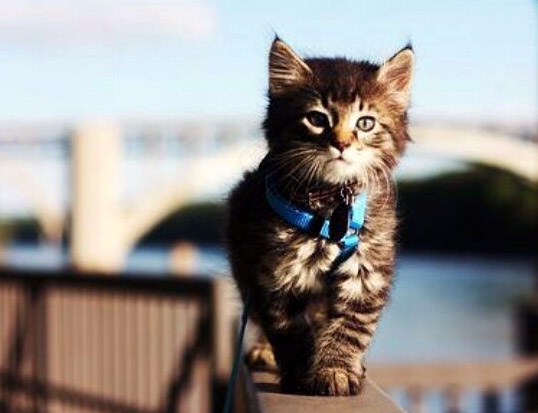 If you decided to drive the cat for walks – buy at the pet store flea collar and harness for cats (for cats and miniature cats you can use a harness for rabbits). Cats have weak neck muscles, so the collar, as the dogs cannot be used. 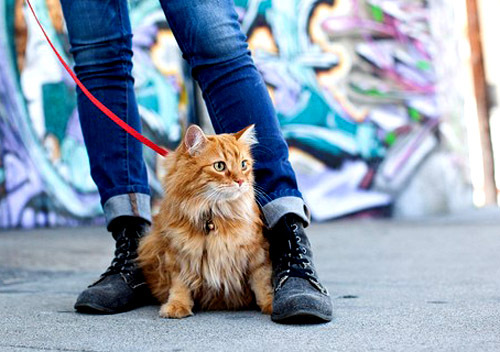 A leash is a mandatory condition of the walk "without consequences": cats react quite violently to sudden noises and pazudusas them threats. 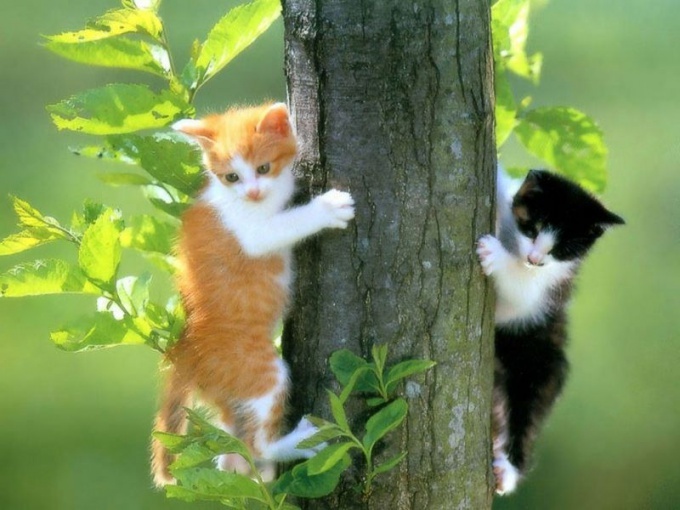 The slightest fear can lead to a rapid escape or try to climb a tree. Before first time to go for walks, train the cat to harness first put it on him the harness and let it get used to it. Then attach the leash and walk the cat around the apartment. After the animal will cease to be nervous and try to rip off his harness, you can try to go with him to the street. The best place to walk your cat is a Park. Walk on asphalt or dirt roads do not bring cats fun, they prefer to walk on soft earth and green grass. Since most cats combine walking with eating grass, it is advisable to choose places that are away from highways – where traffic noise is not audible, and the greens are not covered in mud. To go with the cat on a leash in a predetermined direction is almost impossible – the cat will not go near the master, the master will have to follow where it wanted him to pet. Therefore, to the selected place for walking the animal it is better to carry on hand or to carry. Walking is best in the second half of the day, up to 18-19 hours, while the majority of dog owners haven't brought their Pets for an evening stroll. If you still see the field of view of the dog – watch the reaction of your pet if he is nervous – Pat, take hands and move to another place. If the cat shows signs of anxiety, clinging to your feet, not showing any interest in the environment – stop the walk and take the cat home. There she will feel safe.